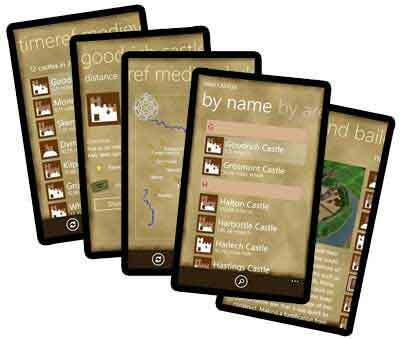 The TimeRef Medieval Village Adventure is the first adventure game published on the TimeRef.com website. More adventures are planned for the future. This is relatively simple adventure. You want a cake for your mother's birthday. You know that Arabella makes cakes so you need to go and ask her to make one for you. But before she will make the cake you must perform several tasks for her and the other villagers in the medieval village. If an object can be interacted with the hand icon will appear along with a description of that object. Click the mouse left button to either pick up the object or use the object. 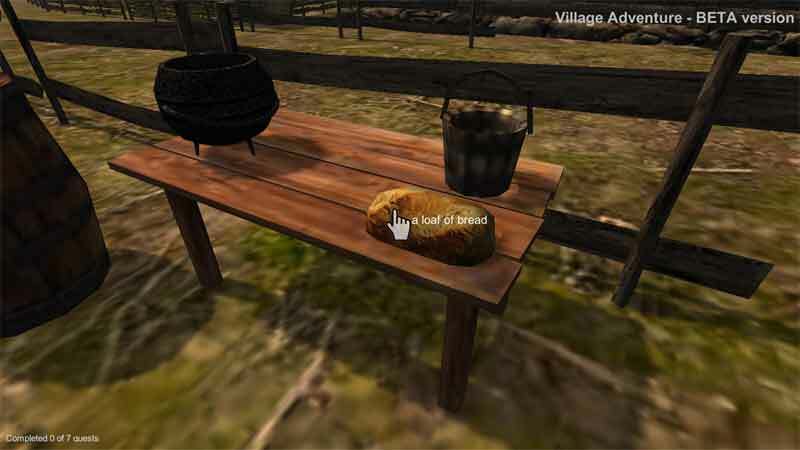 You will be prevented picking up or using certain objects until the quest relating to that object has been started. Press the I key at any time to see the items that you currently carry. As you click each item, its details will appear in the area on the right. 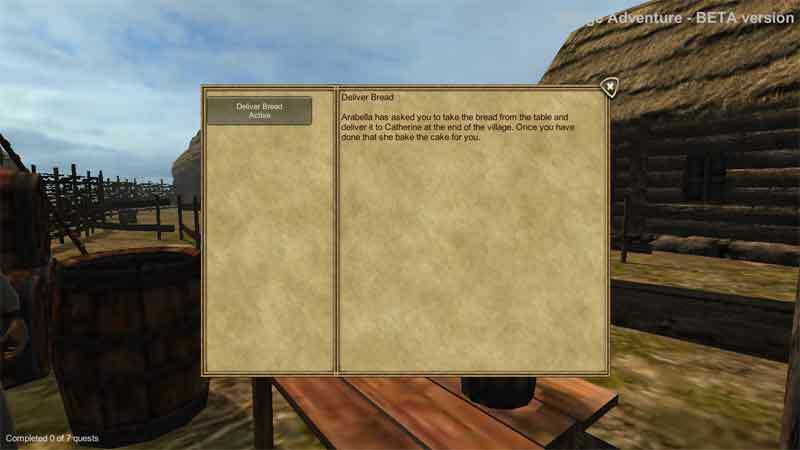 When you are using an object such as the well or a cooking pot the inventory will appear and a 'use' button will be shown on the right. Click the 'use' button to use the selected inventory item. Inventory objects can only be used at the right time. To close the inventory popup, either press I again or click the close icon at the top right. Press the Q key at any time to see a list of your quests. 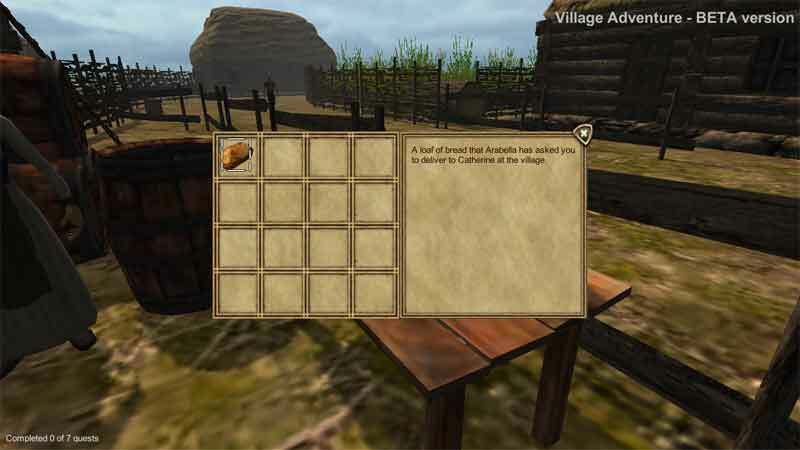 On the left are clickable buttons with the name of the quest and the quests' current state. The details and your progress through the quest will be shown on the right. Active quests will be shown first in the list. To close the quest log popup, either press Q again or click the close icon at the top right. Manor: The land owned by a lord and occupied by dependent farmers. Demense: Lord of Manor's own land. Villeins: Villagers who were owned by the Lord of the Manor and could not leave. Hide: An area of land about 120 acres in size. Caracute: Another name for a hide. Hundred: Enough land to support a hundred homes. Freemen: Villagers who were free to leave the village. Cottars: The poorest villagers. Reeve: Villager elected to representative the villagers. Hayward: Villager ensuring aminals did not stray. Dovecote: Building where pigeons and doved were raised. Please confirm that you want to view and this virtual reconstruction. The download is approx. 5MB. Click here for more information about Unity.